← Manitoba Mountain is the Real Deal! 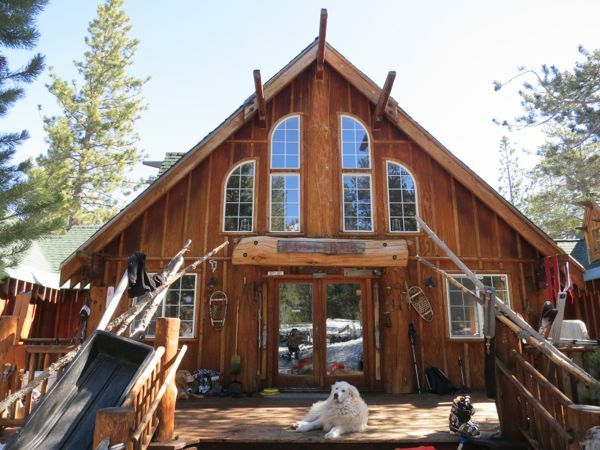 There’s nothing better than a weekend surrounded by friends, except maybe a weekend surrounded by friends in a backcountry palace with a gourmet kitchen, Jacuzzi tubs, sweeping mountain scenery and instant backcountry ski access. In late April, 25 of us set out into Cold Stream canyon and trekked four miles to spend a weekend at the Lost Trail Lodge. In the winter, the lodge is inaccessible by car and visitors use skis or snowshoes to access it. In the summer, guests can drive most of the way. Visiting near the end of a dry winter, during a 70-degree spell, presented us with an interesting challenge – too wet to drive, and too dry to ski the whole way. We started out towing a sled with skis on our feet and snowshoes our backs. Throughout the trip, we had to remove our skis and walk, dragging the sled over dirt and mud. 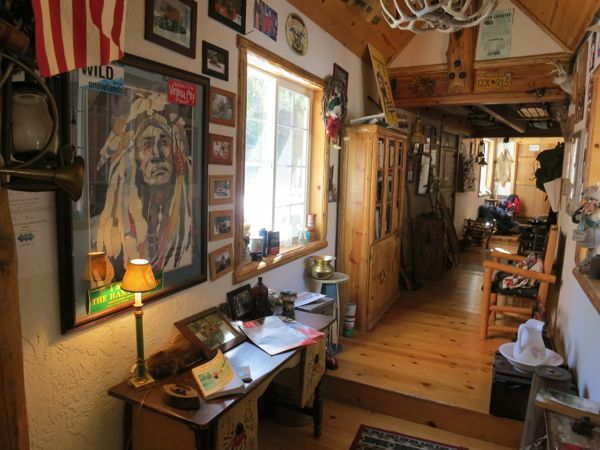 Lodge owner David Robertson built the majestic lodge from materials that he gathered by hand. On his website, he says that getting there is half the fun. Our crew tends to subscribe to the same notion, but with rapidly-melting snow creating a mixture of snow, dirt and mud, and nine kids in tow, ranging from three months to eight years, getting there and back was maybe 25% of the total fun. The other 75% happened when we kicked off our boots, detached from our sleds and eased into the comfort of our temporary home. Terrain accessible from Lost Trail Lodge. The lodge is adorned in “old Tahoe” memorabilia, including a giant buck head, 20-foot river stone hearth, leather couches and bearskin rugs. The hallways are covered with old photos of the area and a host of other interesting and eclectic toys, dolls, games and instruments. The kids played from dawn to nightfall discovering blocks, piano, croquet sets and pint-sized accordion and horns, while the big kids got lost in history through the photos. Hallways at Lost Trail are filled with stories and nick nacks. A short trek from the front door offers views of the Pacific Crest Trail, including Anderson Peak and Tinker’s Knob. 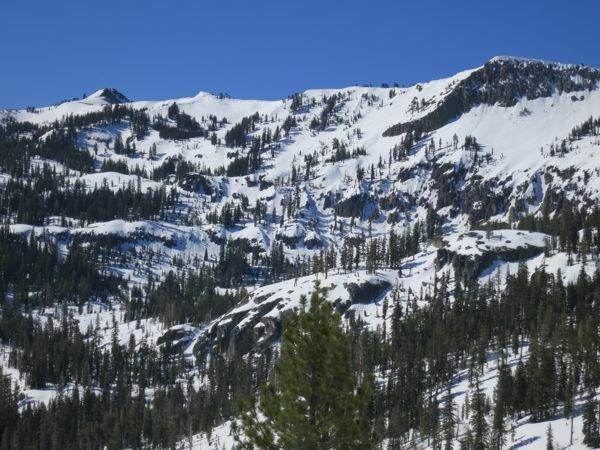 Though we expected that the warm weather would make for comfortable travel, lounging and sleeping conditions, we were pleasantly surprised at how good the ski conditions were. Cream-cheesy snow lasted until after noon before turning to slush. 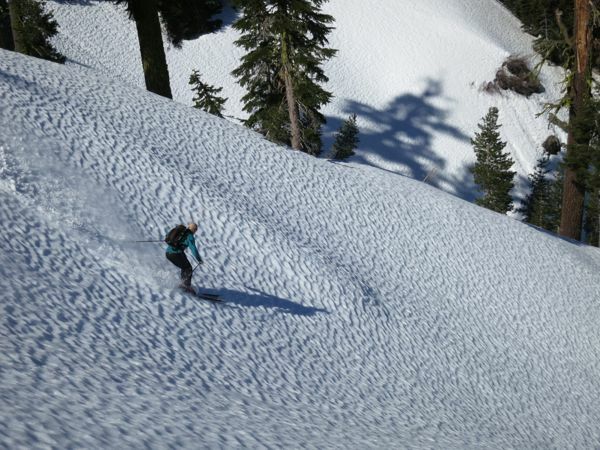 Geoff Forcier skiing above Lost Trail Lodge on April 21. Throughout the days and nights, groups prepared egg breakfasts, chili lunches and pasta dinners in the gourmet kitchen. The kitchen has a six-foot stainless steel Wolf gas stove, a full set of cast iron pots and pans and is stocked with utensils and condiments so we were able to pack light and eat well. Family-style dinners with close friends are something so rare and so special that the warm glow of those warm nights is now a precious memory. 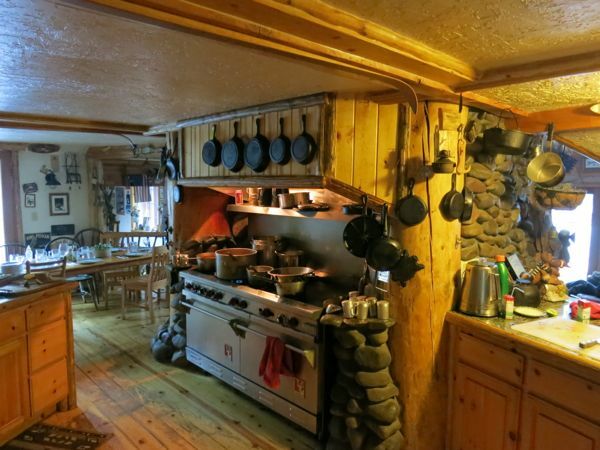 It's not often that you stay at a remote cabin with a cooler kitchen than your own. Fueled by solar energy, power is guaranteed until midnight so we were able to play music all day and keep the party going well into the night. After experiencing a magical blend of seclusion, luxury and camaraderie, it was hard to pack up and head home. With much of the snow on the trail having melted during our stay, the return trip took about six hours. Once I recovered from the exhaustion of dragging my pack, skis, snowshoes, cooler and 3-year-old over dirt for three miles, I started planning our next trip – likely during the summer. 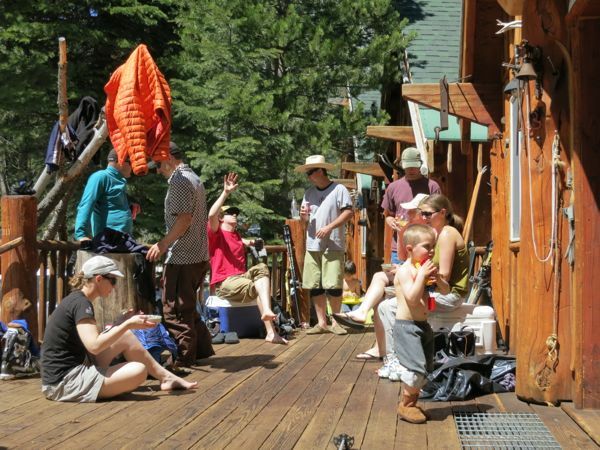 The west facing front deck at Lost Trail Lodge is the perfect place to hang out in the afternoon sun. This entry was posted in Reviews, Trips. Bookmark the permalink.